Medical professionals at the University of Maryland describe multiple sclerosis (MS) as a complex medical condition that affects the human body’s central nervous system, including the brain and spinal cord. Remissions and relapses of symptoms occur over time, leading progression of this incurable disease. Attacks linked to MS can be debilitating, rendering you unable to work or preventing you from completing work tasks. If you suffer from MS and your condition impacts your ability to work, you may be eligible to receive Social Security Disability Insurance (SSDI) benefits. 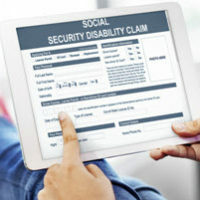 However, filing for SSDI is an exhaustive process and there is no guarantee that you qualify – even when it seems clear that MS should entitle you to benefits. You should discuss your situation with a knowledgeable SSDI attorney in Maryland about the two ways you can qualify to start receiving payments. Meeting the Social Security Administration’s (SSA) Multiple Sclerosis Listing: The first method of proving you are eligible to receive SSDI is by showing that you meet the criteria listed on the SSA Listing of Impairments; you can find the listing for MS within the Neurological Disorders classification at section 11.09. Generally, any condition that is severe and well-documented from a medical standpoint will make this list. If you fall squarely within the MS qualifications, you are found disabled without going through the more stringent, strenuous eligibility process. The issue with this first route to qualifying for SSDI based upon MS is that it can be difficult to obtain an accurate diagnosis. Symptoms can be indicative of other conditions, so a physician can usually only make a firm diagnosis by ruling out other medical issues over time. Your doctor’s job is further complicated by the fact that manifestations of MS can vary widely among patients. In addition, note that a diagnosis of MS does not automatically make you eligible for SSDI benefits. Residual Functional Capacity (RFC): If you do not qualify by proving your condition is on the Listing of Impairments, you have another option for proving your eligibility for SSDI. It is possible to establish eligibility by showing how MS affects your RFC, a term that refers to the most physical effort you can exert considering your functional limitations. It is more common for SSA to use your RFC as a basis for determining you are eligible for SSDI than meeting the strict, meticulous requirements of a Listing. Many other sources of information. For more information on multiple sclerosis and qualifying for SSDI benefits, please contact Steinhardt, Siskind and Lieberman, LLC at our Maryland offices in Glen Burnie, Owings Mills, Ellicott City, or Annapolis. Our attorneys have extensive experience assisting clients, especially when it comes to the strict regulations related to your RFC. We can schedule a free case assessment to review your circumstances and tell you more about the filing process.